Join us December 13th at the Pla Mor Ballroom for our Big Band Thursday & Annual Gold Card Meeting, with performances by Leo Lonnie and his Orchestra. Doors Open for Gold Card Members at 5:00pm, The Meeting and Dinner goes till 6:30pm. After we invite the public to join us for the Leo Lonnie show, doors open at 6:30. 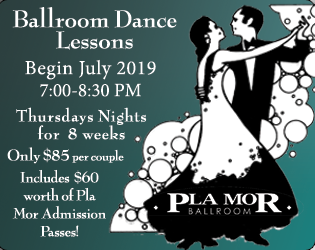 Come help the Pla Mor Ballroom keep that dance floor thumping on a night that the Pla Mor was created for! 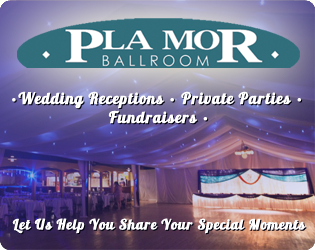 Enjoy what the Pla Mor does best… Music and Dancing! Big Bands perform every Month on a chosen Wednesdaynight at the Pla Mor. Their music bridges the generations from the 1930’s to the present: swing, tangos, sambas, waltzes, show tunes and a bit of rock. 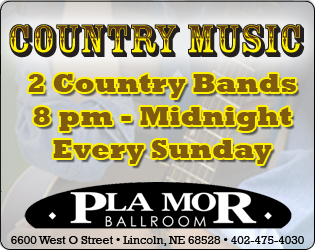 For dancers and listeners alike, the Pla Mor Ballroom’s Big Band Wednesdays deliver an entertainment experience you won’t forget. See the Events Schedule and make plans to be there!